Checking the 3rd Wave back towards reality. Today we’ll be looking at #blacklivesmatter (BLM) – the movement, what it stands for, and it’s claims. As is usual with 4th Wavers, we’ll be covering tons of studies, statistics, data, facts, evidence, so you can link this post as a final resource anytime you find yourself in an online debate. Black people are not inherently more violent or more prone to crime than other groups. But black people are disproportionately poorer, more likely to be targeted by police and arrested, and more likely to attend poor or failing schools. All of these social indicators place one at greater risk for being either a victim or a perpetrator of violent crime. To reduce violent crime, we must fight to change systems, rather than demonizing people. ^ Now this is the official position put forward by the movement, so keep this in mind. We’ll come back to it later. We’re also familiar with the long list of names of black people that were targeted and killed by the police, as well as images like this one. But the central question here, and the point that is causing all the commotion, is whether or not black people are being targeted simply because they are black. The official position of BLM hints that they actually aren’t – they’re targeted because they’re disproportionately poorer, which is a “social indicator” that places them at greater risk. Again real important to keep this concept in mind, because that’s the central point that’s causing the argument, especially when it comes to #AllLivesMatter . There is some truth to the idea that black people are poorer due to laws and decision making policy that was in place during the earlier part of the 20th century, and there are some specific examples of “white privilege” which are associated (white privilege is extremely rare, but individual examples do exist). But the movement isn’t only addressing evidence based critiques like this. Again, there are some extraordinary claims that come from the movement, linked with hashtags like #walkingwhileblack , #drivingwhileblack and #handsupdontshoot . Research shows some surprising figures. A study conducted by The Guardian shows over twice as many whites have been killed by police in 2016, casting serious doubt over the “shot because they’re black” claim. That’s a hell of a lot of white people also being shot. You can see the study here: http://www.theguardian.com/us-news/ng-interactive/2015/jun/01/the-counted-police-killings-us-database . “Proportionally”, however (blacks counted “per million”), we see that blacks are over twice as high as whites (we’ll see why in a second). It’s interesting to see that Native American ranks highest of all in terms of “proportionate”, because they make up only around 2% of the population, according to the Census Bureau. Blacks make up only around 6%. Yet for some reason, saying “all lives matter” – which include Native Peoples, Latinos, and Asians – all of which are linked here to pages demonstrating that they also are victimized by the police – is criticized as being racist. Take a look at those stats we just covered. Now you really gonna pretend like your house is the only damn one on fire? A common argument against “all lives matter” has often been comparing it to houses that are on fire. http://www.vox.com/2016/7/11/12136140/black-all-lives-matter <— see for yourself. This argument against “all houses matter” indicates that no other houses, except this one specific house or group of houses, experiences any fire. So is BLM just not understanding that other races exist and also experience these issues? Because every other race most certainly *does* experience police brutality (which here is the “fire”). The analogy simply does not carry over, since twice as many whites are shot by police according to the data we have on the subject, and the original argument was focused on blacks being targeted for being black, not simply being the only ones that ever experience this issue. Moreover, no one is saying #BlackLivesMatter can’t be used, or isn’t valid. It’s perfectly fine to develop your own special interest group that focuses only on one given demographic. The problem is being told that #AllLivesMatter is racist and can’t be used, because blacks are targeted only for being black, and everyone else is targeted for some other reason. That just isn’t the case, which we’ll see in a bit. ^^^ No, because other diseases also receive funding, and are being addressed at their own unique fundraisers. For example, there’s myasthenia gravis fundraisers, cystic fibrosis fundraisers, and so on. But imagine if you weren’t even allowed to *suggest* that one particular disease is a problem worth addressing, much less receive it’s own fundraiser or awareness, without being denounced for saying so. Or imagine if you couldn’t say “all diseases matter” and feel concern for anyone who falls ill or becomes sick, because doing so would make you a “diseasist” or whatever. And again, no one is saying Cancer doesn’t matter, or you can’t have cancer awareness. But you *are* saying other diseases can’t be given their own consideration, or that we can’t show equal amounts of concern to others who are sick and dying. It’s not the #AllLivesMatter people who are turning this into a denouncement of others, as though social movements were analogous to a football game, where if someone isn’t routing for your team, then they have to be against you because they’re on a different team. This nonsensical “us vs them” mentality seems to have hijacked every social cause. It’s very possible to be concerned about other groups and also be concerned about your group. I swear it’s like the people at Vox, Buzzfeed, and Cracked think this grade-school level wit is just so incredibly golden that there’s just *NO* counter argument that a person could think of within just a few seconds of thought. Okay, so… why is that? Remember that thing about how blacks live in poorer neighborhoods in the original BLM statement? Well this is unfortunately true – and it’s due to racist decisions that were made in the earlier part of the 20th century. These were things like what neighborhoods blacks could or couldn’t live in, and yes, that was definitely motivated by racism. As it turns out, those neighborhoods happened to end up a lot more poor, since society was “separate”, but certainly not equal. Many of these neighborhoods remain affected to this day, and according to the Bureau of Justice Statistics, households at or below the poverty line will be involved with over twice as much crime. http://www.bjs.gov/index.cfm?ty=pbdetail&iid=5137 – it also shows blacks and whites have similar rates of violence when below the poverty line. So this really isn’t about being black, it’s about being poor – just like we saw indicated in the original BLM statement. This makes perfect sense. 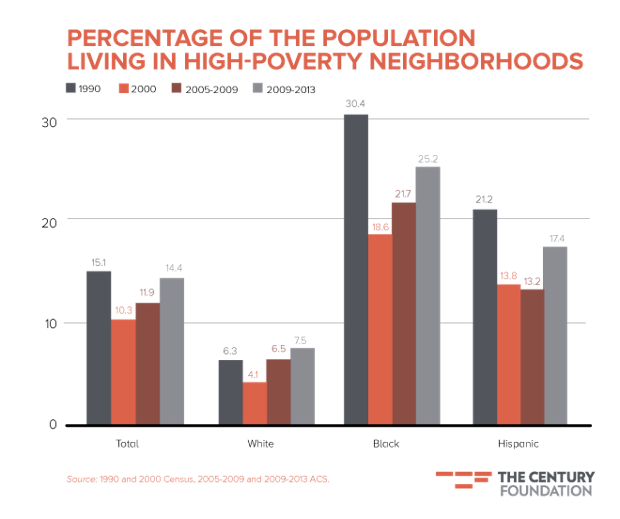 If black households are more often poor, and live in poorer neighborhoods, then crime will obviously happen more often in those areas, and provide more chances for police encounters. Aside from addressing the obvious problems in this graph, how about programs aimed at getting police involved with the community they protect? How about an advisory board made up of members of that community to help facilitate relationship building? That might that be slightly more effective than chanting “pigs in a blanket – fry em like bacon”. Now before we move on, 2 things. 1) Yes, you could argue that the current situation was created by racism that existed in the past, and is still a problem today. But this is a *lot* different than saying “police officers shot him because he was black”. I hope it’s clear now why that narrative, perpetuated by BLM, is simply not true. 2) Despite having more police encounters, when comparing encounters between each demographic (everyone who experienced a police encounter), rather than the entire white population vs the entire black population (the demographics mentioned earlier), we find that blacks are still not shot more often than whites. Again, this is comparing all police encounters with whites, and all police encounters with blacks, rather than “all whites” and “all blacks” everywhere. A meta analysis involving FIVE MILLION CASES – by a black researcher (if that matters) now reveals this to be the case. You can see this analysis here: http://www.economist.com/news/united-states/21702219-are-black-americans-more-likely-be-shot-or-roughed-up-police-quantifying-black-lives?fsrc=scn%2Ffb%2Fte%2Fpe%2Fed%2Fquantifyingblacklivesmatter – and yes, I’m leaving that great big ugly URL there because I don’t want you to miss it. This demonstrates that blacks *ARE NOT* shot by the police more often, when all arrests are compared. The use of more frequent physical restraint against blacks can be explained by the fact that blacks live in poorer neighborhoods, as we discussed earlier, where crime is higher, and this would of course affect the vigilance in police perception. Now that’s not downplaying the use of force, which is still definitely a problem. But the claim here was that they’re being targeted because they are black – and that’s simply not true. They are being targeted, but it’s *not* for being black. Now lets touch again on the whole blacks-being-poor bit, which is the real story here, because it actually goes a hell of a lot deeper. As mentioned, in the earlier part of the 20th century, racist housing policies controlled where blacks could and couldn’t live, thus forcing them into areas where they had fewer opportunities, and these areas became economically depressed. This in turn lead to a number of other important factors that persisted long after the original racial policies were changed. Blacks, as a demographic, now have a more difficult time getting into college or finding work opportunities – like the original BLM statement pointed out. Combine this with the lowered property value of black residential areas, and a black person will end up having a lower credit score, which severely affects several other parts of a person’s life, including the value of their savings and eligibility to receive a loan, which in turn affects how easily they can purchase a house or car. The key importance here is that while the system inadvertently makes things more difficult for black people, it is very possible that no one *IN* this system is actively racist, neither consciously nor subconsciously!! SJW (social justice warrior) morons point to the higher asking price of a vehicle that a black person is trying to purchase and claim that it’s somehow “subconscious racism”. Right. As if the sales person is, on some subconscious level, thinking to himself “Oh boy! Blacky wants a car! Imma ask him for more money than he reasonably has because he’s black and doesn’t earn as much, and this makes perfect sense, given that I’m trying to make a sale and a higher asking price makes achieving that sale more difficult! Mwahahahaha!!! !” – and the sales person does this even if they’re black. Because of “internalized racism”. Or whatever cockamamie intellectual-sounding buzzword 3rd Wavers and SJWs are using to cover obvious plot holes in their “theory”. The fact of the matter is, the sales person doesn’t care about skin colour, they care about credit score and other factors that go into buying a car, which are set by the bank. The bank doesn’t care about skin colour, they care about where you live, how long you’ve been employed, how many payments you’ve missed, etc. The housing authority doesn’t care about your skin colour, they only care about previous evictions, landlord-tenant law, and related considerations. Each person in the system is only doing their job. None of them are aware of the larger systemic problems. They are not themselves racist. They don’t hate blacks. They aren’t trying to keep whites in control. There is no secret agenda. It’s screwed up, but it’s not caused by white people secretly hating blacks and needing to “check their privilege”. https://www.youtube.com/watch?v=9xNxoeqf0Ws – “Pigs in a blanket – fry em like bacon”. https://www.youtube.com/watch?v=S_2tmieafYY Give it a watch. This one’s pretty damn out there. So the problem with BLM comes down to two things. First, the usual rhetoric nearly always ignores the very highly complex reality surrounding blacks and how their lives are affected by systemic disadvantages. Second, aside from rarely ever addressing those problems, we get the impression that the solution is merely for every white person to hang their head in shame and constantly apologize for being white (“White people, appropriately take your place in the back”). It creates the narrative that the actual reason for all the shootings and other problems have nothing to do with what we discussed here, and is all simply because someone with white skin decided to shoot someone who had black skin, and for no other reason. I mean, there *are* actual people associated with the movement that are at least trying to make sense of all this, but we rarely ever hear these voices over the screaming accusations of white people being the problem. This in turn makes every white person sick to f*cking death of hearing about how they’re part of a problem merely for existing. The vast majority of white people aren’t racist at all. They’re normal human beings who just want the best for everyone. But I’ve even been told I’m racist just for *being* white, and I’d place a wager that most people reading this have been told that at some point too. Pretty soon a black person gets angry because they’re convinced every white person is somehow at fault. Type “white people inherently racist” into google and look at how many results come up that I honestly don’t think are even worth replying to. This kind of mindset does nothing except create animosity and hatred, and makes the problem worse, not better. This is exasperated even further by telling a person with white skin that they’re somehow not allowed to have an opinion – unless of course their opinion just happens to agree with you. Remember when whites said that to blacks? Remember how frustrating it was, and how there was a word used to describe that kind of sentiment? Began with an “R”? Take all the time you need. This is ultimately where the problems originate with #blacklivesmatter . People aren’t disagreeing with your movement because they’re racist. You’ve simply turned disagreement into a qualifier for being racist. Whites are not racist by default. They’re just sick of being told they are. And the problem here isn’t “because you’re black”. And it isn’t “because they’re white”. It’s because of complex multifaceted socio-economic causes that too often end up getting ignored. And instead of actually thinking your way through it all, you find it easier to stick to your hateful and simplistic blame-people-who-aren’t-like-me narrative. This entry was posted in Social Theory, Uncategorized and tagged #AllLivesMatter, #AsianLivesMatter, #blacklivesmatter, #BlueLivesMatter, #LatinoLivesMatter, #WhiteLivesMatter, racism by athenakbrown. Bookmark the permalink. Black Lives Matter is also a radical feminist organization. On their website, they use words like ‘herstory’ and ‘hetero-normative patriarchy’. It was founed by 3 lesbian feminists. it’s a radfem Trojan Horse. They use the same kinds of essentialist arguments, the same kinds of ‘for us or against us’ nonsense and use the same apocalyptic language as though they don’t have time for niceties, disaster looms! Unfortunately, we live in the safest society ever. Violent crime has steadily decreased. Anyway good job gathering th research. I shall keep it as an arrow in my quiver.